Ground Penetrating Radar Systems, LLC. (GPRS) of Hawaii was contacted by a large general contractor to locate the reinforcing steel in a concrete slab 6’ thick prior to core drilling. 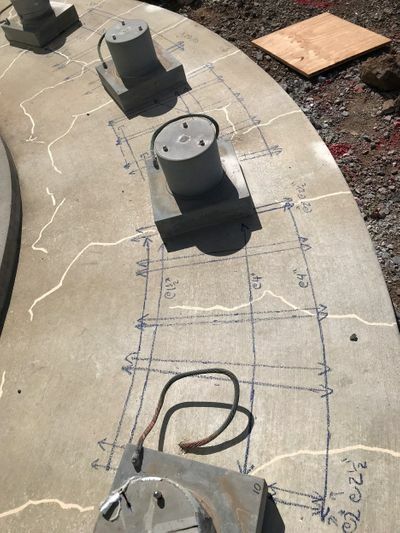 GPRS was able to locate and mark the reinforcing steel onto the surface of the concrete so that the core drilling could be performed without cutting through any items. Unlike conventional X-Ray, GPR is not limited to a specific size of area at each location.